This is the logo I made for my advertising poster. I used the idea of train signs, with the use of the silhouetted train. I based these designs on the old British Railway signage. 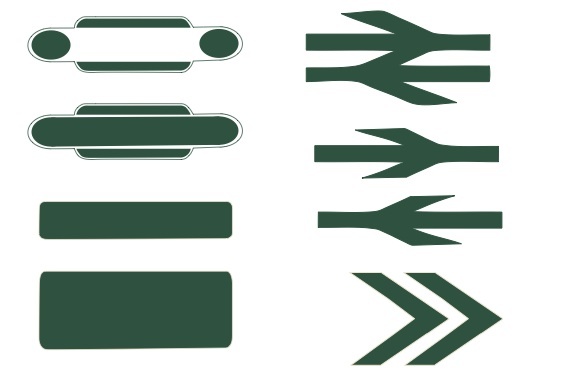 I thought about how these could be used for a masthead, as well as the arrows being used for navigation in the magazine. I thought about how text could be included on the signs. I decided to use Gill Sans, as it was the typeface originally adopted for British Rail. This is the final design for the masthead. I decided to change the colour, as I thought the green wasn’t as aesthetically pleasing, in which it didn’t fit in well the black and white photos. I thought the blue had a softer tone. 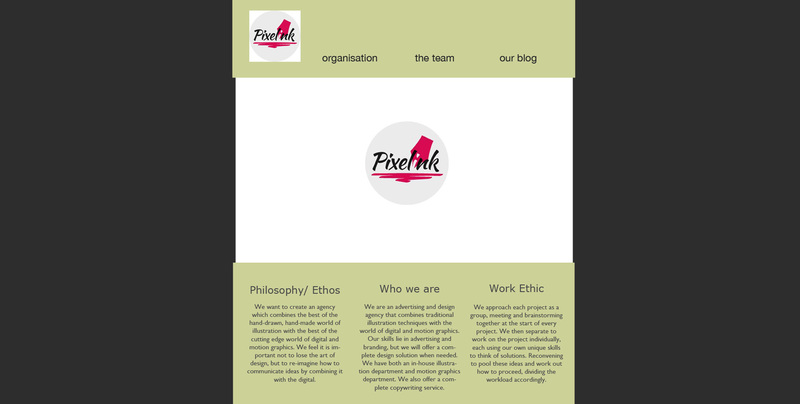 This is the initial concept for the website, in which we wanted to explore fitting the main points of our design agency onto this one page, title; ‘organisation’ . I decided to put this bottom section within it, with our philosophy, who we are and our work ethic. We also decided to have the logo as our main focus (the logo is still in development at this stage). We decided that this would highlight exactly what and who we were immediately to the audience.